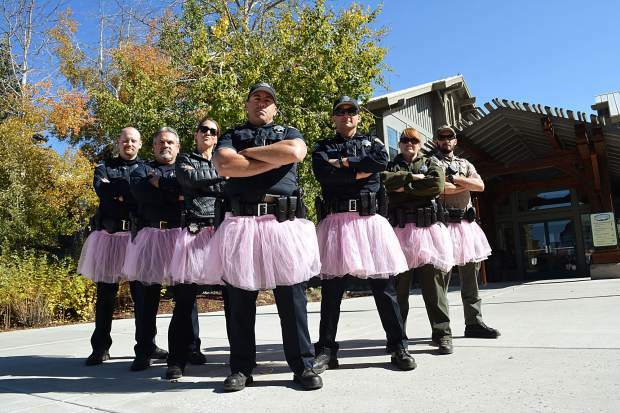 Truckee Police officers participate in The Auto Doctor's "World Record Largest Tutu" to show their support of Officer Lopez and his family, as his wife Kim was recently diagnosed with breast cancer. Pets in costume will compete on Facebook and in-store at Mountain Hardware for the chance to win a $50 gift card and $50 donation in their name to the Humane Society. Post a picture to Facebook and vote through Oct. 31, and then head to the store on Halloween for a pet dress-up party and contest. 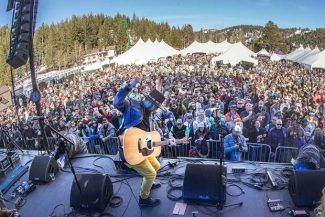 Head to the Tahoe Art Haus & Cinema for a showing of Coming To My Senses, in which Aaron Baker embarks on a journey symbolizing his recovery from a 1999 motocross accident, which left him paralyzed from the neck down. When: Friday, Oct. 27 | 5:30 p.m. & 8 p.m.
Children, teens, parents and grandparents are invited to build a car out of a pumpkin, decorate it, and then race down an inclined course for the grand prize of $500. When: Friday, Oct. 27 | 4-5:30 p.m.
Harrah’s will transform into a feast for the senses during the South Lake food festival featuring delectable dishes from Caesars Entertainment’s best restaurants and top-shelf spirits and fine wines. Where: Harrah’s Lake Tahoe | 15 U.S. 50, Stateline, Nev.
Atelier Truckee will teach a workshop on watercolor painting, theory, traditional and unconventional techniques, including negative painting, glazing, wet-into-wet, dry-into-wet and dry brushing techniques. When: Saturday, Oct. 28 | 3-5:30 p.m. 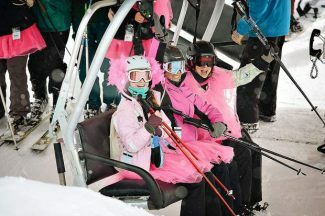 The Auto Doctor and The Carey Foundation support breast cancer patients and will be hosting an event in honor of their record-breaking tutu, to raise funds for those affected by breast cancer. The tutu will dress up a NAPA Auto Parts semi-truck during the event. When: Saturday, Oct. 28 | 11 a.m. Cost: Free event, please donate items $50 or more, or donate cash directly to the cause. The Crystal Bay Casino is celebrating Halloween in style and welcomes guests to dress in their best costumes to dance the night away to 80s classic tunes. Guests 21+ only, after-party to follow in the Red Room with Elzo and Echto. 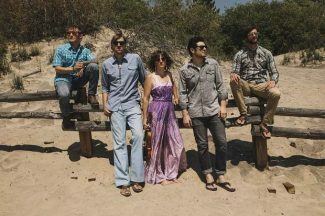 Where: Crystal Bay Casino Crown Room | 14 NV-28, Crystal Bay, Nev. When: Saturday, Oct. 28. | 9 p.m. Dress in your Halloween best for this year’s Cadillac Ball, themed “Voodoo.” Guests will enjoy gourmet food, an extensive silent auction, a raffle, live entertainment, a costume contest, and dancing. When: Saturday, Oct. 28 | 6 p.m.
For Goodness Sake will host a free talk given by Geshe-la, on his life in Tibet, escaping to India, advancing his education and art, and how Buddhism has informed and grounded his life. When: Saturday, Oct. 29 | 2-4 p.m.
Richard Blair will present the history of Truckee in the late 1800s through a musical and theatrical performance from Cottonwood’s elegant dining room. Tickets include dinner and the show, and are selling quickly. When: Sunday, Oct. 29 | 5-8 p.m. Cost: $45 per person includes dinner and the show.